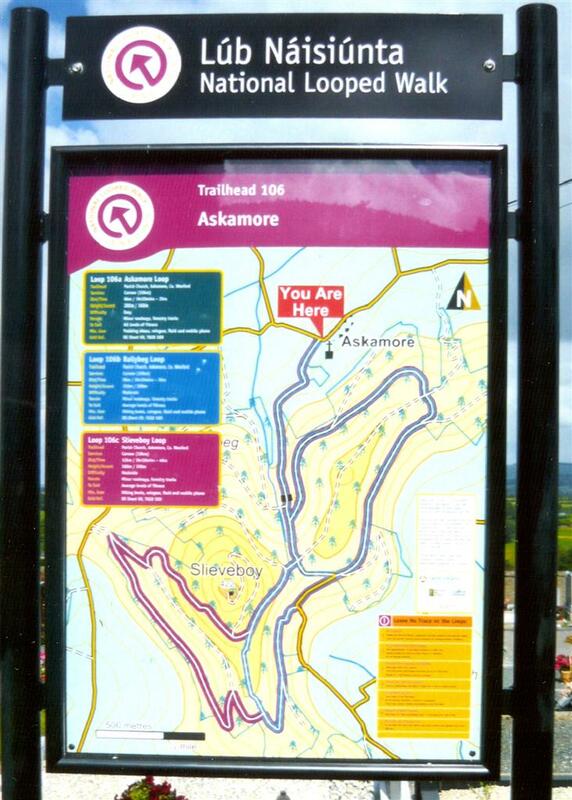 Opened in 2009, Askamore now hosts the start of 3 fine looped walks on Sliabh Bhuí. Find all the information and maps here. One of my favorite reasons for coming home at the weekend. Great walk to do with the girlies. Thanks for the comments Louise and the pictures – they’re up on website now. If you feel like walking again tomorrow, the walk sets out from the car park beside the church at 2 – the short loop around the side of Sliabh Bhuí – and there’re strawberries and cream afterwards for everyone. Hi Louise thanks for comment and delighted you enjoyed walk the walks are all sign post from the trailhead which is in the church car park in Askamore however the shortest loop would be 6kilom we are at the moment working on a community park the walk in this will be much shorter and also will be a lit walk the park opening is on Friday july26th so you are very welcome and please spread the word thanks again Paddy Byrne.